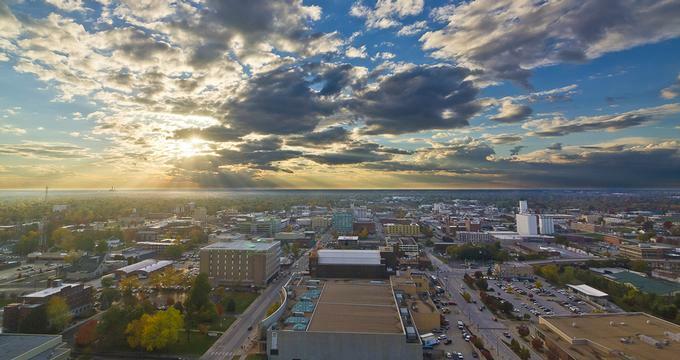 The third largest city in Missouri, Springfield is a beautiful weekend destination, home to great museums, attractions, restaurants and shops. Visit new Johnny Morris’ Wonders of Wildlife National Museum & Aquarium, check out the Springfield Art Museum, tour the Fantastic Caverns, and explore the Air and Military Museum of the Ozarks. Best things to do in Springfield, Missouri with kids include the Discovery Center of Springfield, Dickerson Park Zoo, the Rutledge-Wilson Farm Community Park, and the Missouri Sports Hall of Fame. The Discovery Center of Springfield is a hands-on, cool, fun, interactive museum that inspires learning through exploration and discovery. DCS also offers a range of educational outreach programs and hosts events such as Earth Day, Pi Day, Nano Day, and scout nights. 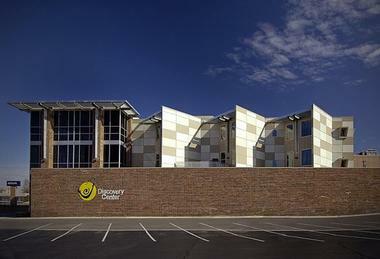 The Discovery Center of Springfield is one of the top family attractions. A small group of women founded the Springfield Art Museum in 1926, and today it is the city’s oldest cultural institution and one of the best things to do in Springfield, Missouri. 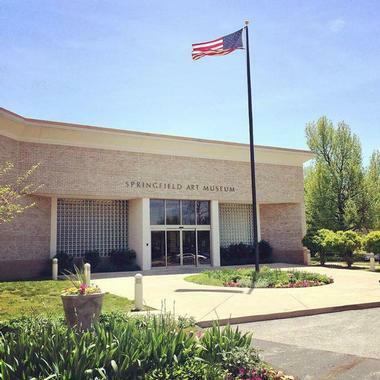 Established to inspire and educate the public about the preservation and appreciation of art, the Springfield Art Museum has a permanent collection of over 10,000 works of art in its permanent collection spanning numerous time periods and cultures, as well as rotating and traveling exhibitions. Special collections include the Art of the Midwest, American water media, and printmaking, as well as pottery and ceramics from Europe. Several large-scale sculptures are on display throughout the grounds, including a well-known Springfield landmark, Sun Target II by John Henry. 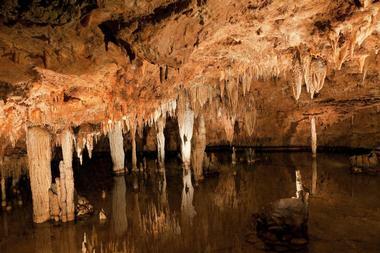 Explore the spectacular beauty of Fantastic Caverns, a vast underground cave carved out by an ancient river just northwest of Springfield. Discovered by John Knox and his hunting dog in 1862, the cavern quickly became a popular destination for exploration, and today, visitors can enjoy a 55-minute guided ride-through tour in a Jeep-drawn tram. Soak up the magnitude of the splendor and tranquility of the cave on a quiet, controlled drive through the cave where the temperature hovers around 60 degrees. If you are wondering what to see in Springfield, Missouri with kids, this is a great place to visit. Trolley-led tours are held every day, except for Thanksgiving Day, Christmas Eve and Christmas Day. Nathanael Greene/Close Memorial Park and Arboretum is a magnificent 114-acre park located just across from Horton Smith Golf Course. The 12,700-square-foot Botanical Center is also part of the park. The gardens and arboretum were built as a learning resource for the students of University of Missouri and local gardeners, and they serve as an outdoor classroom and a plant laboratory. They were also constructed for anyone who loves vast green spaces, lush trees and bushes, and nature in general. There are 2.8 miles of trails around the banks of Lake Drummond for joggers, walkers, and bikers. Dr. Bill Roston Butterfly House delights children and students with colorful insects, allowing them to see all the stages these creatures go through. 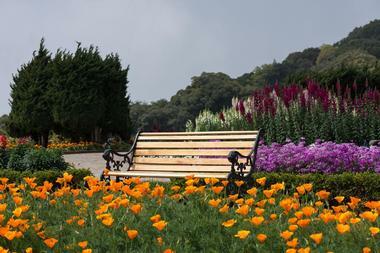 Nobody can stay untouched by the timeless beauty of the Mizumoto Japanese Stroll Garden. If you are wondering what to see in Springfield, Missouri, this beautiful outdoor space is a great place to start. 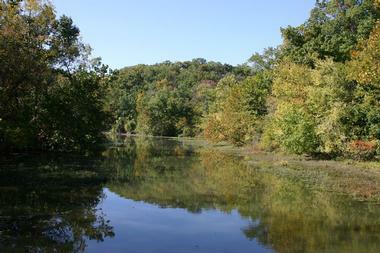 There is so much to see here that captures and showcases the beauty of the native Ozarks. The Springfield Cardinals are the Double-A Texas League affiliate of the 11-time World Champion St. Louis Cardinals, and the team is based at Hammons Field in downtown Springfield. Owned and operated by the St. Louis Cardinals, they are one of eight teams in the Texas League. The stadium is unique due to its two baseball- specific outbuildings outside of the right-field walls, the larger of which serves as a fully furnished indoor practice facility with astroturf, batting cages, and a small diamond for drills. The stadium, which can accommodate nearly 8,000 fans, also features 28 luxury box suites, VIP lounges, bar areas, and a balcony area, as well as one of the largest electronic scoreboards and JumboTrons in the country. Named as one of the most striking minor league stadiums in the country, the home of the Springfield Cardinals enjoys crowds at every game. The Air and Military Museum of the Ozarks was established in 1989 with the aim of restoring, preserving, and displaying the military history and memorabilia of the Ozarks for the public. 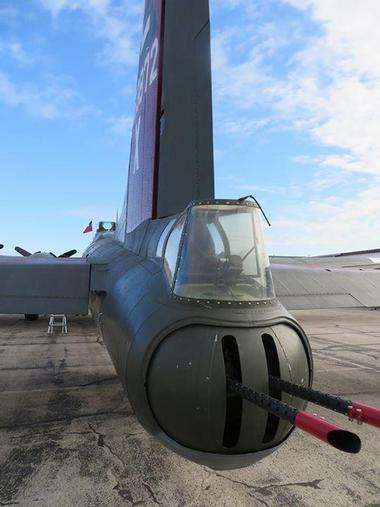 Dedicated to the men and women who fought and died in the Armed Forces to preserve America's freedom, the museum is home to a collection of more than 5,000 objects of military history, including vintage military equipment like a Cobra helicopter, a T-33 jet aircraft, and Army Jeeps and trucks. Visitors can enjoy a hands-on experience at the museum by taking an imaginary flight in a Cobra helicopter, typing a message on an old Teletype machine, or having a personalized dog tag made. The museum also runs some special projects and field trips for students, and it hosts birthday parties as well. 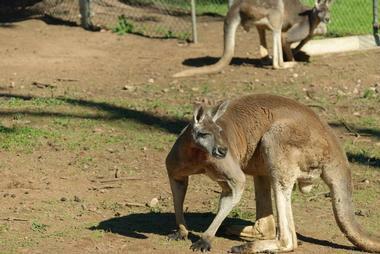 Dickerson Park Zoo was founded with the objectives of educating the public and inspiring them to take an interest in wildlife and nature and conservation. The zoo is currently home to more than 500 animals that represent 160 different species, and it is involved in several conservation projects, including the Species Survival Plan, which involves Asian elephants, maned wolves, and cheetahs. Located in southeast Springfield, the Springfield Conservation Nature Center is a 79-acre natural landscape consisting of woodlands, forests, glades, prairies, and Lake Springfield, and it offers visitors an array of recreational and outdoor activities to enjoy. The Nature Center boasts over three miles of hiking trails of varying distances, which can be used for hiking, and wildlife watching. Self-guided displays and exhibits are scattered throughout the park for educational and reference purposes, and guided tours are available free of charge for groups, though they need to be booked in advance. Special events are held in the park throughout the year, including Eagle Days during winter, Native Plant Sales and Seminars during spring, Insect-O-Rama during August, and a Halloween-based event in October. Bass Pro Shops Outdoor World is the original and largest of the Bass Pro Shops in the country. 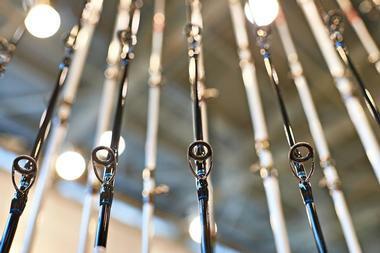 Bass Pro Shops is a premier outdoor retailer with stores across America and Canada, and the company specializes in fishing and boating equipment as well as equipment and gear for other outdoor activities such as hunting and camping. Bass Pro Shops Outdoor World is a retail mecca for outdoor sportsmen with more than 500,000 square feet of space dedicated to the outdoors, and it also features aquariums, waterfalls, a firing range, TRACKER boat showroom, and the NRA Museum and Archery Hall of Fame. Shop for all your outdoor clothing, footwear, cooking, and equipment needs, as well as nature-themed gifts and relax over a coffee afterward at the Hemingway’s Blue Water Café. 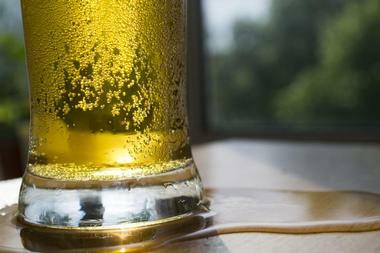 Mother's Brewing Company is a locally-owned brewery that produces and distributes craft beers. Located on South Grant in Downtown Springfield, Mother’s Brewing Company produces a range of craft beer from year-rounder labels such as Towhead and Three Blind Mice to seasonal beers like ‘Oktoberfest’, Winter Grind and Spring Batch, along with other popular labels. Visitors can take a tour of Mother’s Brewery and learn about the processes of beer making, bottling, and distribution, and participate in a tasting session in the Tasting Room afterwards. Mother’s Tours are held every Saturday afternoon and are on a first come, first served basis. Visit the newly renovated Hotel Vandivort to dine at The Order restaurant or stay overnight in one of the stylish accommodations. Located in Downtown Springfield’s historic center, Hotel Vandivort is a modern, upscale boutique hotel surrounded by an array of attractions and entertainment. Originally built in 1906 as a Masonic Temple, the hotel has been beautifully restored to its former glory to create a stylish base in the heart of downtown for both leisure and business travelers. Luxurious rooms range from Master and Balcony Suites to Humble King and Queen rooms, all of which feature spacious interiors, lovely en-suite bathrooms, and modern amenities, including a mini-bar, fridge, coffeemaker and snack basket, as well as HD televisions and climate control. 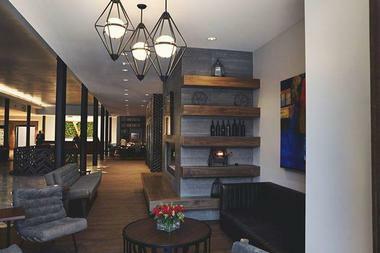 Guests can dine at The Order, which serves modern Missouri cuisine and craft cocktails in an elegant setting or enjoy a meal in the privacy of their rooms with in-room dining service. Hotel Vandivort is conveniently located within walking distance of several attractions and an array of shopping, dining, and entertainment. 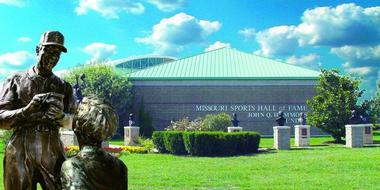 The Missouri Sports Hall of Fame is dedicated to celebrating the outstanding achievements of athletes from Missouri, and it hopes to inspire and encourage future athletes to succeed. 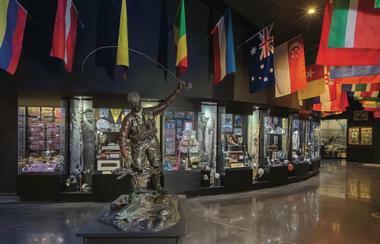 Located on East Stan Musial Drive, the Sports Hall of Fame is home to over 4,000 items of sports memorabilia showcased in a range of displays and exhibits throughout two floors. 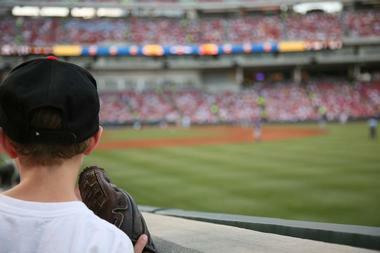 Several interactive exhibits present hands-on experiences, such as racing in a NASCAR simulator, batting against a Major League Baseball pitcher, and throwing football passes. Alongside the Hall of Fame is the Legends Walk of Fame where busts and statues of famous sports figures honor the athletes in whose images they were made. Renowned inductees to the Missouri Sports Hall of Fame include St Louis Cardinals baseball player Stan Musial and Kansas City Chiefs quarterback Len Dawson. 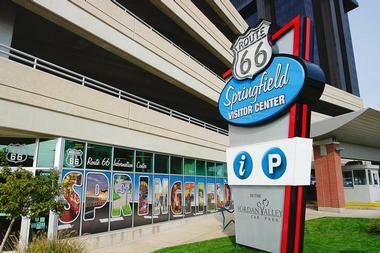 The Route 66 Springfield Visitor Center is the perfect place to start your Route 66 experience and to discover a wealth of information about the city of Springfield and its attractions and surroundings. The modern visitors center has expert staff on hand to provide information and answer any questions, and it also offers maps, guides, driving directions, and a wealth of information on what to see and do in the Springfield area. Check in with the staff as to what events are happening during your time in Springfield and join the locals for a fun-filled experience. The Rutledge-Wilson Farm Community Park is a 207-acre farm park that celebrates the rich agricultural heritage of the area. Established to provide educational and recreational resources for the community, the park features a range of demonstration crops and gardens, an animal and milking barn, 20-acre native prairie and pasturelands, a farm-themed playground for children, and scenic Wilson's Creek. If you are wondering what to do in Springfield with kids on a sunny day, this is a great park to explore. Visitors to the farm can enjoy a range of activities such as farm animal meet-and-greets, fishing in the farm pond, walking and running along the paved mile-long farm trail, or shopping in the farm’s gift shop. 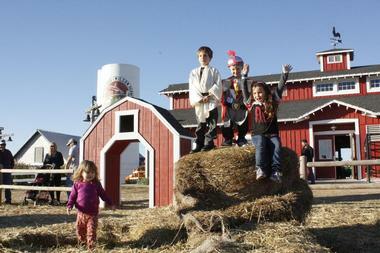 Rutledge-Wilson Farm Community Park hosts several community events throughout the year and is open year round. Relics Antique Mall is the largest antique mall in Missouri, featuring 90,000 square feet of antiques and vintage collectibles. 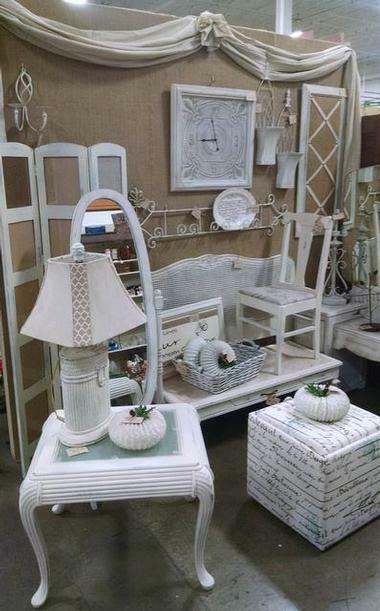 Located at 2015 W. Battlefield in Springfield with a second location in Mount Vernon, the mall gives antique lovers and collectors the opportunity to find everything they could want here, including furniture, home décor, arts and crafts, clothing, jewelry, trinkets, and other old treasures. An old world tearoom serves delicious freshly made cuisine, tea, and coffee, and the mall hosts several antique-related events throughout the year. Lake Springfield Park is a beautiful natural area around Lake Springfield that offers an array of recreational and outdoor activities. There are two nature trails in the park, the Greenways Trail and the Greater Ozark Audubon Trails, both of which offer excellent wildlife and bird watching opportunities. 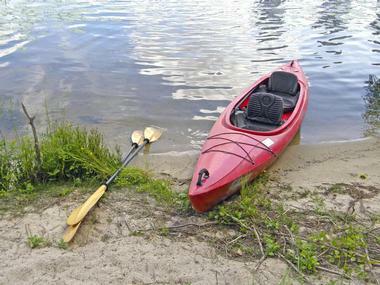 Visitors can enjoy fishing from the shoreline during park hours, and they can rent kayaks and canoes to explore the edges of the lake or the James River Linear Park Water Trail, which runs from Galloway Creek to Creighton Beach. Two beautiful pavilions, the Hilltop Pavilion and the Northwoods Pavilion, present lovely places to picnic and soak up the views. The Johnny Morris' Wonders of Wildlife National Museum and Aquarium, also called Wonders of Wildlife, is the largest fish and wildlife attraction in the world. Opened in 2017, this not-for-profit conservation-themed educational attraction is located in Springfield, Missouri. The 350,000-square-foot space consists of two distinct parts – the museum and the aquarium. The Wildlife Museum features a number of wildlife galleries with taxidermized animals from all over the world. They are displayed in very detailed dioramas that represent various natural habitats. Besides animals, the gallery also has historic artifacts, films, artwork, and occasional special exhibits. The 1.5-million-gallon aquarium is home to 35,000 fish, reptiles, amphibians, birds, and mammals. These are showcased in distinct themes such as an ocean shipwreck, an Ozark forest, a Louisiana swamp, and the Amazon rainforest. Wilson's Creek National Battlefield near Republic, Missouri, is the site of the Battle of Wilson's Creek. The battle was fought on August 10, 1861, and was the first major battle of the American Civil War fought west of the Mississippi River. Wilson Creek is also the site of the death of Nathaniel Lyon, the first Union general to be killed in action. The battlefield is very well preserved and attracts more than 200,000 visitors each year. The park has a 4.9-mile paved tour road that allows visitors to have a self-guided auto tour of the battlefield at their own pace. There are eight stops at specific significant points in the battle, complete with interpretative signs, as well as trails for walking, hiking, and horseback riding. 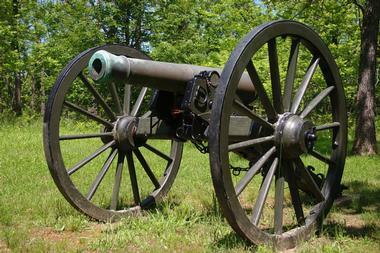 The Civil War Museum, which is a part of Battlefield Park, has a significant collection of artifacts that help to better understand the bloody events that took place west of the Mississippi as well as the people involved.